Sat between the edge of Manchester and the foothills of the Pennines, Tameside Metropolitan Borough Council (MBC) is committed to the cost effective delivery of services to all stakeholders within its community. One aspect of this commitment is the construction of 12 new Secondary schools, under the Building Schools For The Future programme, in partnership with Capita, the UK's leading outsourcing company. Network Connect, a SpliceCom Community Partner based in Ashton under Lyne, Tameside, had, for some time, been working with the Council to support their stated objective of, wherever possible, contracting local companies as opposed to using those outside the borough. The precise and demanding specification from Capita for the Schools project required a fully networked, integrated Voice over IP telephone system to be installed. When Network Connect became aware of the project they were keen to meet and where possible exceed these requirements and deliver a functional, highly resilient and most importantly, cost effective solution to the council and schools. 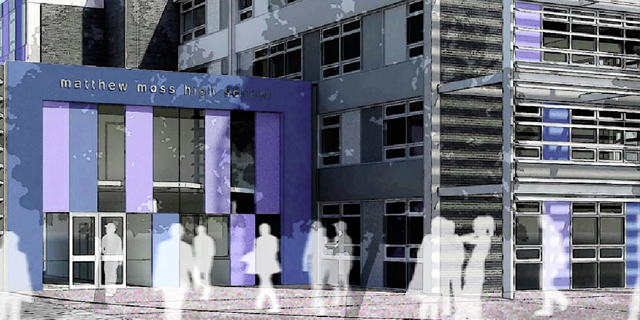 Prior to this project each school had been responsible for its own telephone system and as such there had been no standardisation or economies of scale applied to this important area of expenditure. Capita and Tameside were considering solutions from Cisco and Nortel as well as SpliceCom's Maximiser OS based system from Network Connect. The SpliceCom telephony platform was eventually chosen due to its high levels of flexibility, and the ability to scale easily. The solution designed by Network Connect was highly resilient with every element protected against failure. Dual Call Servers have been deployed at each location alongside a fully redundant core architecture based on dual, high-availability S8000 Soft-PBX platforms running SpliceCom's Maximiser OS. These attributes, combined with an excellent overall Total Cost of Ownership for the council over the term of the contract, were the deciding factors. Whilst the Maximiser OS based is operating across all 12 schools as ONE system, it has at the same been deployed to operate in a different manner at each school to suit their own specific needs, demands and requirements. For example, some of the schools have opted for basic handsets in every classroom, which are then 'locked' to prevent outbound dialling unless a unique PIN is entered before making a call. Others have favoured a solution based around IP Softphones for every teacher, running on their laptop computers in conjunction with a USB headset. Basic handsets are deployed in shared communal areas such as staffrooms, science prep rooms, libraries, etc. whilst in the back office areas all administration staff and members of the senior leadership teams have opted for SpliceCom's high performance and easy to use PCS 5 Series IP handsets. An option has been provided to dial directly from the Schools' SIMS database, however, at this stage, users are happy to export contact numbers from SIMS into their PCS 60 PC based personal productivity application, which is provided to all users at no additional cost. Additionally, Network Connect, in conjunction with SpliceCom Community Partner Spider Group, have integrated the phone system with Microsoft OCS, using the Spider OCS 4 Maximiser Gateway. In addition, bespoke web pages are being written which will allow PCS 60 users to 'click & dial' frequently used commercial sites such as yell.com, alongside the internal IT support team and Network Connect customer services, thereby bringing applications and value to the users. With all the networked platforms operating as ONE single communications system 'Hot Desking' between schools has been made possible, whilst all calls between schools will be free. The deployment of SpliceCom's Vision suite of web-based management applications has been centralised alongside the Maximiser OS platforms, making it more cost effective to implement and easier to manage across the whole estate. Phase One of the deployment for 12 schools, supporting some 2,000 extensions is now well underway. Network Connect is now providing a full service to Tameside MBC including the provisioning of the Cat 6 and fibre optic cabling infrastructure supporting both the IP phone system and the Schools' IT infrastructure. Network Connect is also managing the Schools' telephone lines and calls, ensuring that best value is achieved alongside excellent service. The medium term plan is for the system to be expanded to provide ONE system connectivity for all Tameside Schools and the facilities required to support this additional requirement have already been provisioned within the Maximiser OS core of the SpliceCom system in readiness. The delivery of this project now means that Tameside Metropolitan Borough Council has started the transition from a disparate procurement policy delivering variable solutions and service levels to its stakeholders, towards its medium term goal of a fully Managed Solution that will consistently bring efficiencies and cost savings in many different aspects of the their activities.